1. What is the price for my service? 2 How much should I tip? a. We have a $13 minimum gratuity on all Groupon services; otherwise, it is completely up to you. 3. Will I get the 15% online discount even if the booking software is not functioning properly? a. Yes, just make sure to call in to let us know, so we can remedy the issue. If you fail to confirm then you will not receive the discount. 4. What is the retail price for my Groupon service? You can check the services category of our your voucher fine print. Groupon not valid for active clients within the past 9 months. Navigate to Merchant Center's "Campaign Management" tab, where each deal's expiration is listed underneath the launch date. Where can I check the expiration terms and dates of my deal? Can I extend or change my expiration date? Since changing an expiration date can confuse customers who've already purchased the deal, we avoid edits like this whenever possible. If there are exceptional circumstances, Please contact Groupon Support (merchantsupport@groupon.com) to discuss. What if a customer tries to use a voucher after expiration? We not obligated—to offer some leeway immediately after a deal expires. Keep in mind that all vouchers will always be good for the value of the Groupon. Because of this customers can use the value of the Groupon towards the service offered, much like a gift card. 5. Will it cost me the same if I purchase in house? a. Yes. In order to do so we charge a $13 minimum gratuity, $9 tax on hair service, and $4 tax on spa services. 6. How much is a color? 7. How much is a weave? a. Starts at $300. $25 a track. 8. How much is a rodset? a. Starts at $65. Depends on length. 9. What is the retail price for a Swedish massage? 10. How much is a spot color/touch up? 11. How much is just a haircut? 12. How much is a trim? 13. How much is a deep treatment? 14. How much is a virgin relaxer? 15. How much is a relaxer retouch? 1. What is a trim? a. A trim is considered cutting off the dead ends of the hair no more than an inch, which helps the hair continue to grow and remain healthy. 2. 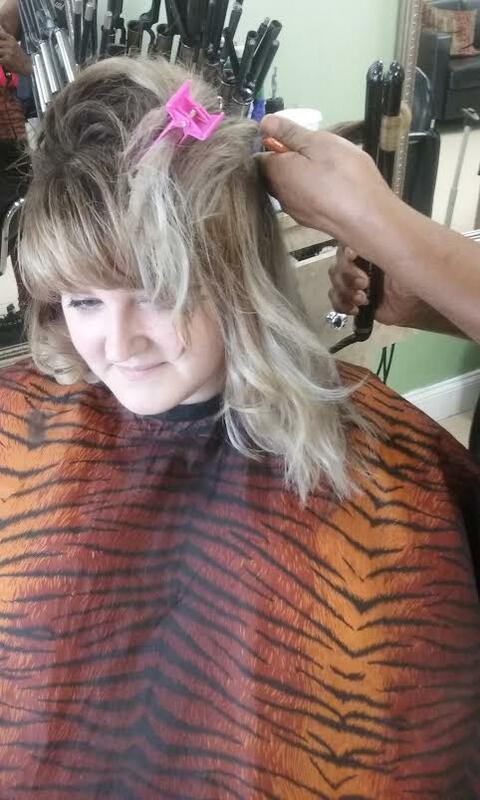 How long does semi-permanent color last? a. It is recommended that you get a retouch every 6 weeks, but no longer than 8 weeks. 3. How long does a relaxer last? 4. Does the salon provide the hair? a. Unfortunately not, but we can give you a great recommendation on where to find exactly what you are looking for. 5. What color brand do you use? 6. What relaxer brand do you use? 7. Does it cost for a consultation? a. No, and it shouldn’t take longer than 5 minutes. 8. 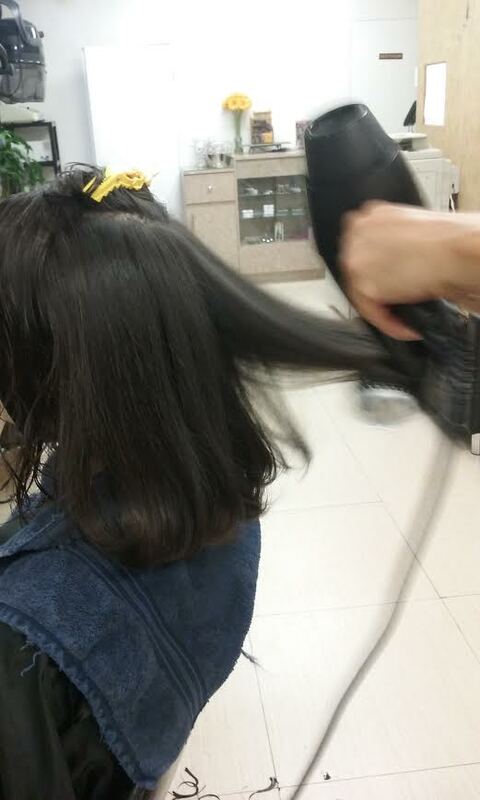 How long will my hair service take? a. That is ultimately dependent on the service you are receiving, but most services take between 2-3 hours. 9. When should I come back? a. At least every 2 weeks in order to keep up your look. 10. Are no-lye relaxers better and/ or milder? 11. How can i deep condition my hair ? a. Apply a deep conditioner to hair and scalp cover with a plastic cap and sit under a dryer for about 15 minutes. You can wrap your hair in a towel and wash hair thoroughly. This is very good for dry brittle hair. 12. What are some hair care basics? a. Sleep with satin scarf or with satin pillow case, do a deep conditioner at least every two to three weeks, avoid overuse of products as this weight the hair down,making the styling difficult, massage your scalp on a regular basis to promote circulation and oil production (the better you treat your hair , the easier it will be to grow and the healthier it will look), eat a proper diet. vitamins and minerals are essential for proper hair growth, water (moisture ) is your friend, spritzing a little water on your hair every day is a good idea. 13. How do i transition from relaxed hair to natural hair? a. There is really no quick or easy way. A relaxer is permanent. It cannot be removed (except with scissors). if you want to grow your hair out, be prepared for breakage, so be sure to deep condition. Some transition styles are preferred styling options. Cut off the relaxed hair - depending on how much new growth and your preferred styling option. You can wear a TWA ( teeny weeny Afro). a. Wash and style is only done on chemically process hair. It doesn't include natural hair service. 15. What is our Natural Hair services. 1. Can I book 2+ people at the same time for spa services? a. Unfortunately, we only have two masseuses on staff currently, and sometimes there is only 1 in. But we can certainly do couples massages when both masseuses are available and we can certainly book you back to back if there are openings. 2. What massage packages do you offer? a. We offer a 1 massage for $40, 3 massages for $99, and 5 massages for $159 plus tax for all packages. 3. Can package be transferred? 4. Can packages be used by more than 1 person? a Yes, for a additional $19.99. 5. Do you offer any massage add ons? a. Yes, you can upgrade to a Deep Tissue Massage for $19.99, Foot Reflexology Massage for $19.99, Aroma Therapy Massage for $15, or a Body Wrap for $25. 6. Do you offer any facial promotions? a. Yes, $45 for one 50 min. Aveda cleansing facial, $125 for three 50 min. Aveda cleanising facials, and $85 for one 30 min. Aveda deep cleansing facial and one 60 min. Swedish massage. 1. Do you do natural hair? a. 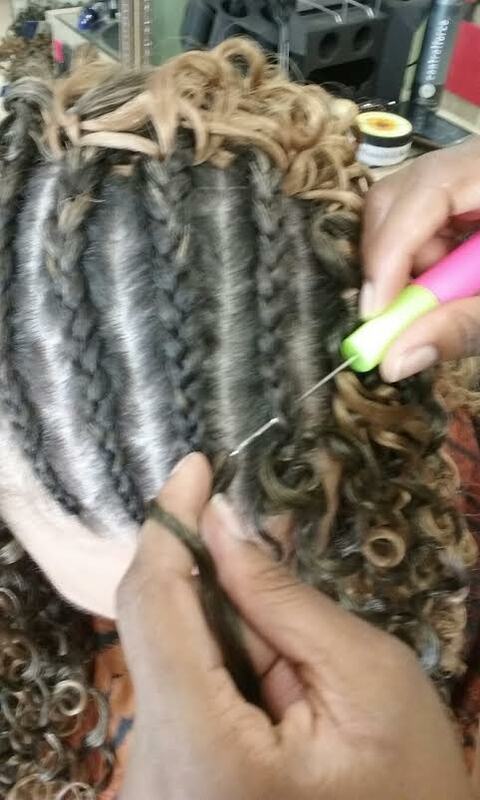 Yes, we specialize in natural hair, weave, haircuts, colors, massages, and facials. 5. How long should I call in advance to either cancel or book an appointment? a. We accept walk-ins for hair service, however we recommend you book an appointment at least 24hrs in advance. Spa services are by appointment only. These services tend to book very quickly so we recommend calling in days or even a week before. We do have a waitlist that we can place clients in case there is a cancellation. We enforce a strict 24hr cancellation policy. 6. Do I need to bring in my Groupon? Groupon policy? a. All Groupons must be verified at the time of booking. Please see fine print of Groupon. No refunds for any third party purchases. a. We do not issue refunds. However, client satisfaction is our primary concern and as such we will do our best to remedy any situation that leaves a client unsatisfied. 8. What is your refund and cancellation policy? a. We have a strict no refund policy, which states that you can only transfer to another service for the equivalent cost. We, also, abide by a 24 hour cancellation policy, and a 6 month expiration on all Groupon purchases, which starts the day of purchase. 9. How long do your specials and promotions last? a. Limited Time Offer. Offer can be removed without written notice. 10. 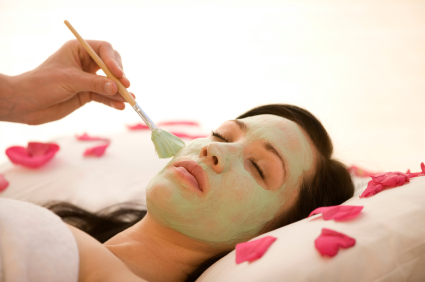 What is our cancellation fees for spa services? a. Our cancellation fee is $20, which applies only less than 24 hrs notice. 1. Do you have experienced technicians? a. Yes, we have very experienced technicians. 2. What do your hair stylists specialize in? 3. How many massage therapists do you have? a. We have 2 masseuses. 4. Do you have any female massage therapist? 5. How many hair stylists do you have?